` Picture this: you’ve just gotten home from a long day at work. You’re tired, frustrated, and just ready to get away from it all for a little while. Instead of coming home and dealing with screaming kids, laundry, dishes, and yard work – what about if you could come home, drop all your cares at the door and dive into your very own backyard swimming pool? You can make this dream your perfect reality when you get a swimming pool loan from AMS Financial. Our pool loan calculator can even help you see exactly how much you can afford by calculating payments, rates, and terms right on the Internet. When you need to get a quick answer to how much of a pool loan you should apply for, our 30-second pool loan application will get you the answer that you need. Whether you’re looking for a short-term loan for a pool that’s above ground or a 15-year loan for an entire backyard pool and landscaping effort, the professionals at AMS Financial will ensure that you get exactly the pool loan that you need and save you as much money as possible on the financing charges. When you’re in the market for a new pool loan, you don’t want to spend a lot of time picking out your different financing options. Instead, you want to work with your contractor to create the ideal pool for your yard, and select options that you know your family will enjoy for years to come. When you have your financing in place before you begin looking for pools, then you will know exactly how much money you have available for your swimming pool project. This will not only make you more attractive to contractors (guaranteed financing is a bonus! ), but also helps you keep from going over-budget on the project. 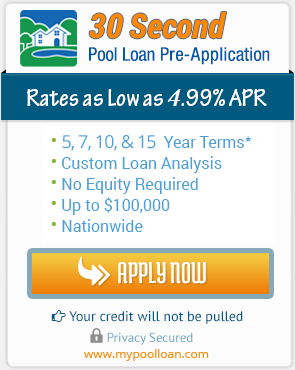 Our easy pool loan calculator even takes the guesswork out of knowing what your monthly financing payment will be. 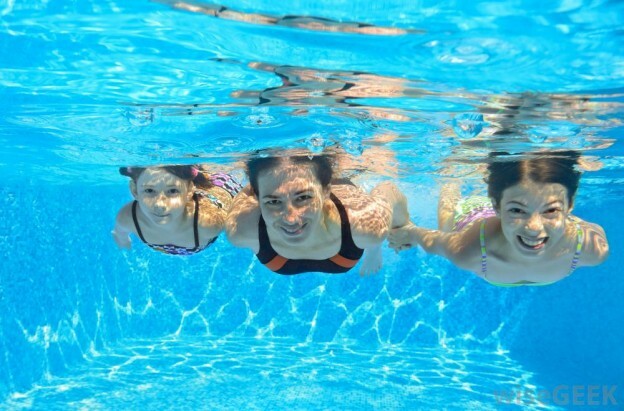 Keeping your options in mind when you’re considering a swimming pool loan allows you to shop without worrying about whether you can be approved for a certain loan amount or if you’re getting financing that’s affordable based on the cost of the pool. Instead, you can do the fun part—deciding the shape of your next pool and exactly where in your yard you will be placing the ladder or steps so you can climb right in!